One of the wonderful things about the Revised Common Lectionary is that it provides a rhythm for life. This week marks our transition from the Season of Epiphany to the Season of Lent. Epiphany was all about the Incarnation of Christ as framed by the Magis’ visit to the baby Jesus. With Lent our focus moves from the encounter of Epiphany to the reflection of Lent. Now that we’ve encountered Jesus’ incarnation on earth, what should it mean for our lives? 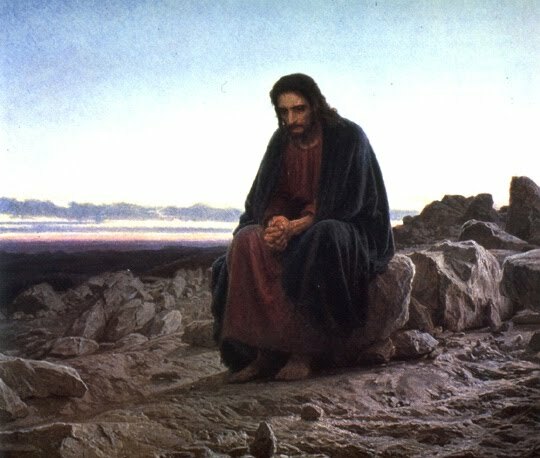 The framing image for Lent is Jesus’ 40 days in the Wilderness. Entering a wilderness requires a bit of planning and sacrifice. One can’t take along all the creature comforts of home. Yet the benefit of wilderness time is to reconnect with what really matters, which in turn transforms everything once we arrive back home. ‘Lent’ may seem a strange word. It comes from the Anglo-Saxon word ‘lencten’ meaning “Spring.” Some think that the church tradition of starting Lent came from the fact that winter food often ran out during this time so that a period of fasting was a convenient coping mechanism. However, more likely Lent was established as a means of removing distraction in preparation for the celebration of Christ’s resurrection at Easter. Some might say, “Now look, there is nothing in the Bible about Lent, so let’s just drop the idea.” If Lent were merely intended to be an exercise in inducing guilt, understood. Yet there is so much more here on offer. Just as Spring brings new possibilities in terms of natural growth so does Lent bring with it new possibilities of spiritual growth. We are cleaning out the garden in preparation for the explosion of color that is about to come. Will you therefore join me on an adventure into the Wilderness of Faith these next forty days? This will be for us an opportunity to let Jesus direct the very trajectory of our lives. Do you find yourself feeling bombarded by all the media at our disposal? How could a Lenten journey bring peace, joy, and clarity to this problem? What was your favorite wilderness journey? What did you enjoy about it most? What was difficult? How did you get through it? This entry was posted in Religion on February 13, 2010 by Steve Godfrey.